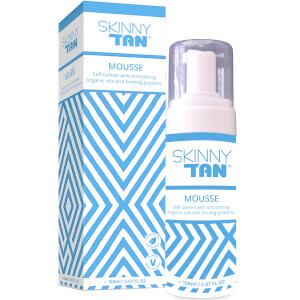 Enhance the look of your skin with Body Glow by SKINNY TAN Medium Lotion, a daily moisturiser enriched with a hint of tan. Formulated with a cocktail of smoothing oils, Aloe Vera and naturally-derived guarana, the moisturiser effectively softens and nourishes skin while gently building a light to medium, streak-free colour; just enough for a hint of subtle radiance. Use in place of your classic moisturiser and enjoy its delectable Coconut and Caramel scent. 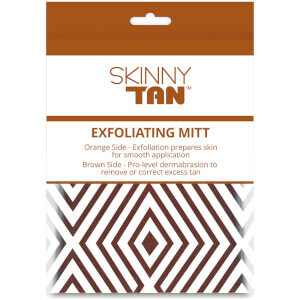 Apply evenly across the whole body. Use every day, or as often as required to get a healthy glow to your skin. More applications will lead to a deeper colour result, build the colour as you wish. One application three times per week will maintain a light glow. Aqua (Water), Cetearyl Alcohol, Glycerin, Isopropyl Myristate, Dihydroxyacetone, Caprylic/Capric Triglyceride, Ceteareth-20, Parfum (Fragrance), PEG-20 Stearate, Sodium Acrylate/Sodium Acryloyldimethyl Taurate Copolymer, Xanthan Gum, Ethylhexylglycerin, Paullinia Cupana Seed Extract, Aloe Barbadensis Leaf Juice, Maltodextrin, Phenoxyethanol, Potassium Sorbate, Sodium Benzoate. Amazing smell, absolutely love this product! So light and easy to apply. Builds to a nice tan. Much prefer gradual tan lotions as more natural and you can build on it. Easy to use, applied as a normal moisturiser, doesn't streak. 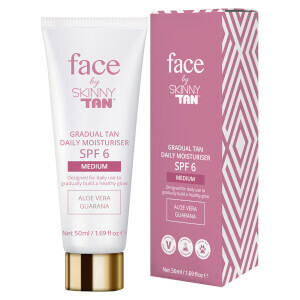 This gives a nice looking tan and a natural glow on skin, I really like it. The smell is not my cup of tea but it's not a downside either. I have very light olive skin and I got quite dark after 3-4 consequent uses of this, perfect colour! It didn't cause a breakout in my bacne, it actually helped, it looks less irritated. I recommend using tanning mitts, even though it's a moisturiser tanner, it can stain the palms. I would totally recommend this.